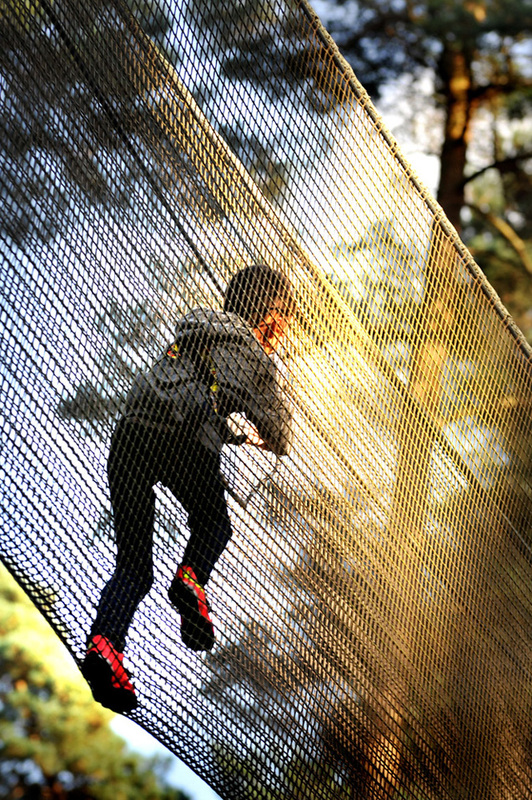 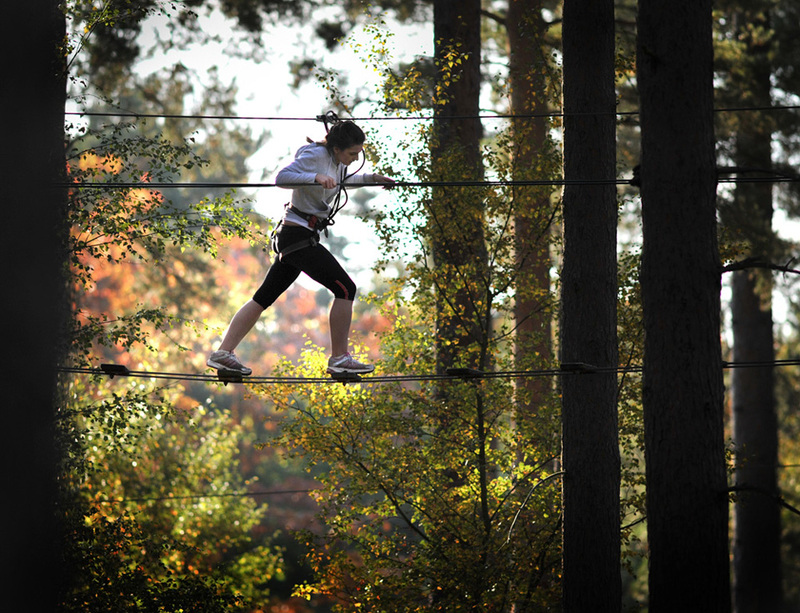 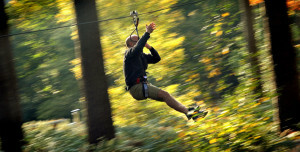 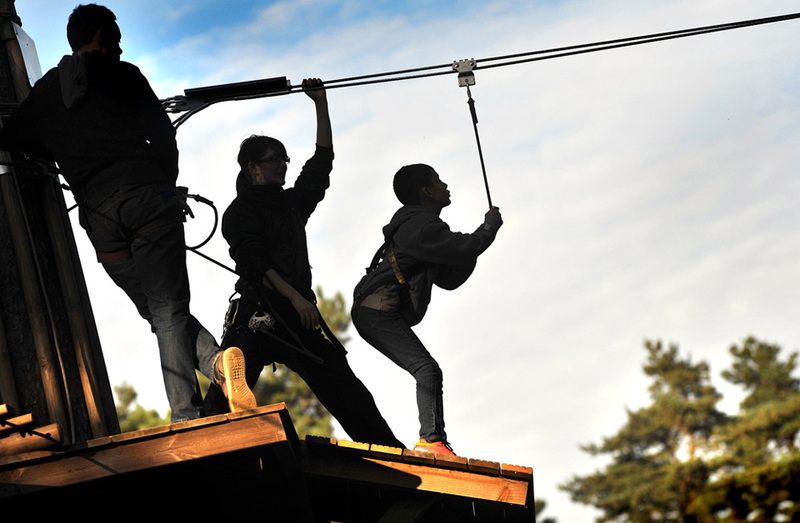 Birdsong gave way to blasphemy as an army of zip-wiring, tree scrambling outdoor pursuitists whooshed, whistled and thudded their way around the vertigo inducing playground that is Go Ape. 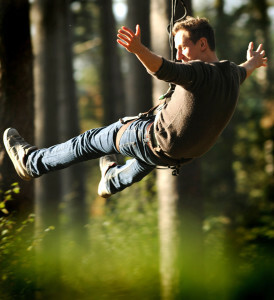 I was photographing the flying funsters for Liz Walsh’s Top Dog Days website, but with my own size 11’s firmly planted on the forest floor. 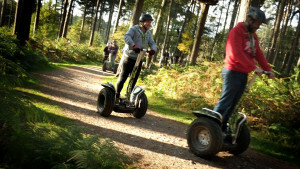 The Cannock Chase site in the West Midlands is relatively compact, apart from the segway route, which heads off into the depths of the woodland. 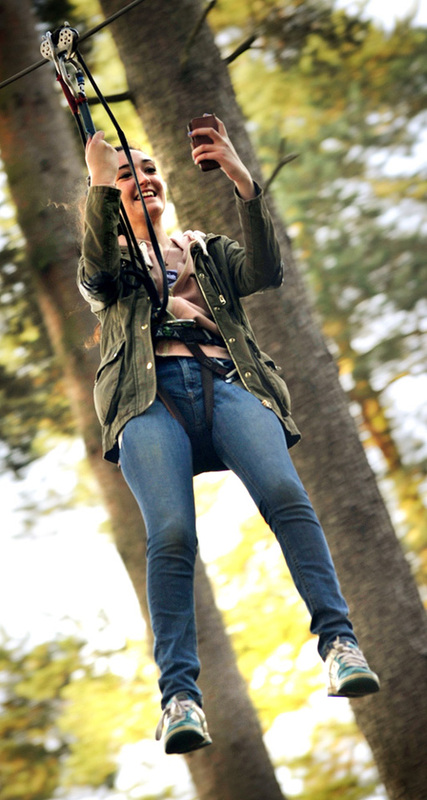 So three cameras with 28mm, 180mm and 300mm lenses attached gave me pretty good access to all the treetop locations. Another flying expletive whistled down the wire. 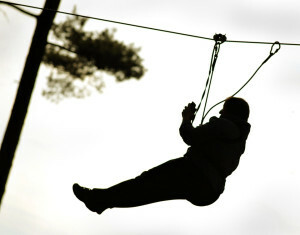 Up in the air, a safety-harnessed throng of primary school pupils, parents and pensioners scurried and worried their way around the course. 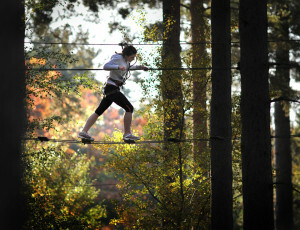 It seemed that once up, the only way down was at the finish. 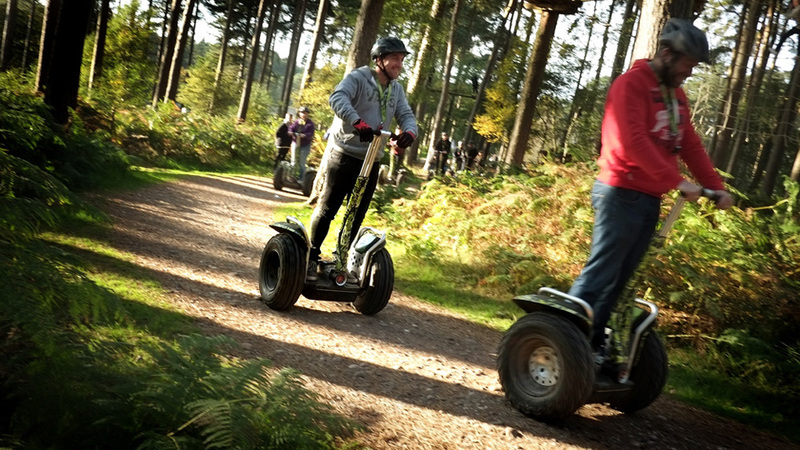 Ultra cool no-handers gave laid back smiles as they glided through the autumnal yellows and reds, while silent segwayers gently bounced and s-bended their strange alien way into the leafy distance.